A frozen or unresponsive Mac is rare, but Macs aren't immune from some of the same weaknesses as other computers. At one time or another, we've all had documents disappear, programs crash and faced that spinning beachball of dread during a busy working day. The best thing you can do is not panic, then follow some simple instructions to get up and running again. If you are finding this is happening more often, maybe it's time to look at long-term solutions. Maybe you've not updated your operating system recently? If that is the case, then a new one comes out soon, with macOS High Sierra, now is the time to give your Mac an update. At the same time, you may need to declutter the Mac, removing old files and long-forgotten documents to avoid troublesome Mac freezes. Why does Mac keep freezing? Macs are fairly powerful, durable devices. It takes a lot to slow them down, or a simple issue of the Mac running too many programs, apps and browser tabs (all of then use processing power). 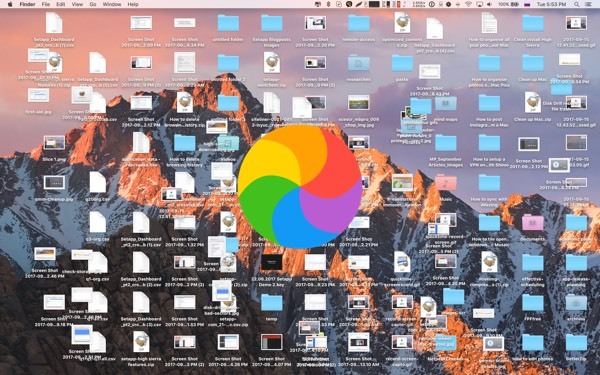 Like with any computer, when too much is stored and too many apps are fighting for CPU processing power, you're stuck with a spinning wheel and your beloved Mac not responding to clicks and pleas. Apps crashing are some of the most common reasons behind a Mac freezing. Usually, an app freezing won't crash the whole Mac, but that is a risk when your memory is full, or there are lots of applications running at once. Here are some of the main reasons Macs freeze most of the time. Let's start with a bit of obvious advice: don't panic, don't do anything you'll regret, don't push every button. In this part we'll go over unfreezing a Mac and preventing it from freezing in the future. Depending on your current trouble, we'll try to determine the core reason and what to do in each case. If neither of those solutions works, then you can hold the power button down which will restart the device. Not an ideal solution, since you can lose anything unsaved, but at least that should restore it to normal. What if you resurrected your Mac and realized some of the files are missing? Don't worry just yet, installDisk Drill, the world's premier data recovery software for macOS. It was created for the cases when Mac crashed and you lost data and when you accidentally deleted files. 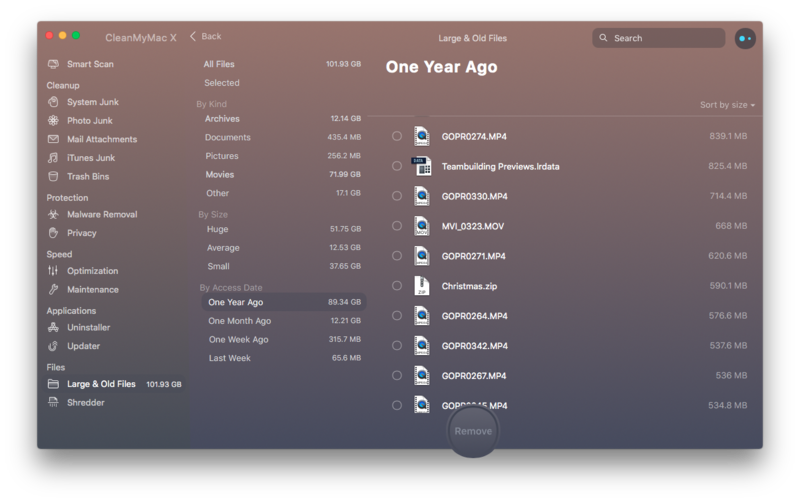 Disk Drill is powerful enough to retrieve long-lost, mistakenly deleted files from Macs, external hard drives and USB drives and camera cards. Simply open the app and scan the chosen drive or partition, preview to find exact files you want to restore and restore them. Now, let's make sure your Mac doesn't make a freeze into a habit. Apps may running in the background, freeze and crash. Try to determine which apps cause the crash. You start at this: when does the crash happen? If it's when you turn on or work in a specific app, maybe you need to either reset it or remove it entirely. FIX:To remove apps or set them to back default, use a Mac optimizer app called CleanMyMac, it's has a specific Uninstaller module which can safely perform the task. CleanMyMac is available on Setapp collection and you can use it for free during the trial period. Install CleanMyMac from Setapp and launch it. Find the app in question. Checkmark it and click Uninstall. To reset an app, repeat the first three items and then right-click on the arrow near the app name and select Application Reset instead. Resetting an app to default settings and cleaning up its cache can help if you're sure you really need the app and you can't afford to simply remove it. Also, don't forget to check for app's updates, there's a change your problems sprout from an outdated version. When an app freezes, which becomes obvious when an application is unresponsive in the middle of something, or you are shown the spinning beachball of despair, you can Force Quit (either in the app, from the dock or main menu). A cluttered desktop can seriously slow down your Mac, and can also cause many problems. That is because every icon on your desktop is an image, not just a link, and it's redrawn each time you start your Mac. FIX: To clean up your desktop, and organize icons and files, try to useDeclutter. What this app does it groups all the files on your desktop into categories by type (or by any other principle you specify) and thus relieves your Mac from the need to draw 100 image-icons each time. This is usually when an app has been running without you realizing it. If your Mac freezes on startup than it's probably one of the startup items, apps that launch when your Mac turns on. You'll need to check on them and remove the extras. FIX: How to stop programs from running at startup on Mac: Go to Settings > Users and Groups > Login items and uncheck any app that you don't want to launch when switching your Mac on, or restarting it. This way you'll escape weird crashes that render your Mac frozen. How many are too many? Unfortunately, there is no simple answer; but once your Mac seems to struggle running simple tasks, or slows down when you've got multiple tabs or apps open, it's an indication that it is struggling to cope. FIX: How to check what apps are running on your Mac right now? Open Activity monitor and take a look at the list of apps. Next to each you can see how much RAM and CPU power they eat up. You can switch between CPU and memory tabs to view each. Those that are the heaviest could cause the problem, so if you're sure you know what that app is, you can quit it. How to close apps on Mac: in the Activity monitor, simply select and press the X mark in the top left corner. This will force quit the app. Resort to this only if your app is entirely unresponsive, otherwise use the menu in the top bar with the app's name, next to the apple icon. For instance Chrome > Quit Google Chrome. In the same way you can manage processes on Mac. Rows without icons are processes. There are system ones and user-generated processes. Don't rush to quit any process before reading a little about it on Google. It might be important. An overloaded drive can be the reason your Mac fails to work properly and freezes or nearly-freezes. You can check if it's the problem by clicking the Apple icon > About this Mac > Storage. If there's not too many GB left on the free side of your disk, time to clean up. The easy way to get rid of extra files and give your system a polish is to use CleanMyMac. It's cleaning module is everything you want from a good app: it has a one-click solution and a bunch of semi-automated options for picking out and removing large old files. If you take a few moments to carefully clean up Large and Old files, you'll be gigabytes and gigabytes out, you can't imagine how much garbage hangs in there. From personal experience, it takes about half a year to clutter a Mac with random stuff. Click Large & Old Files and click Scan. Find what you'd like to remove in there. Now, here are a few other app suggestions to free up more space. Gemini — removes duplicated images and similar photos. Dropshare — lets you quickly move files into the cloud. A rare case that can signal two things: your Mac is nevertheless locked up and regular solutions fit (restart, check Activity monitor, find problematic apps, clean hard drive)orthere's a hardware problem. There's a way you can check if the latter is the case without taking your Mac to a service store. InstalliStat Menus and use its indicators to see if there's an ongoing problem with your drives or battery. Pay attention to the CPU temperature and battery life in particular. Another way to diagnose your Mac would be to run a specific hardware test administered by Apple itself. Preparation: disconnect all external devices except keyboard, mouse, display, and power connection. Put your Mac on a table or anything flat (a soft bed would be a poor choice). When turning back on, immediately press and hold the D key until you see the Test icon. Select language and click the right arrow or press the Return key. Click the Test button to begin. You can also press T or Return. Upon completion, take a look at the lower part of the window and study the results. To quit, hit Restart or Shut Down at the bottom. When a Mac freezes, those solutions are reactive, and while you are going to be up and running again soon, you should think about fixes that will help you avoid crashes in the future. CleanMyMac is one way to cleanup an untidy Mac. Other apps worth installing from Setapp collection includeiStat Menus we mentioned before, a handy app that will quickly identify what is absorbing so much CPU processing power and advise those applications are closed. 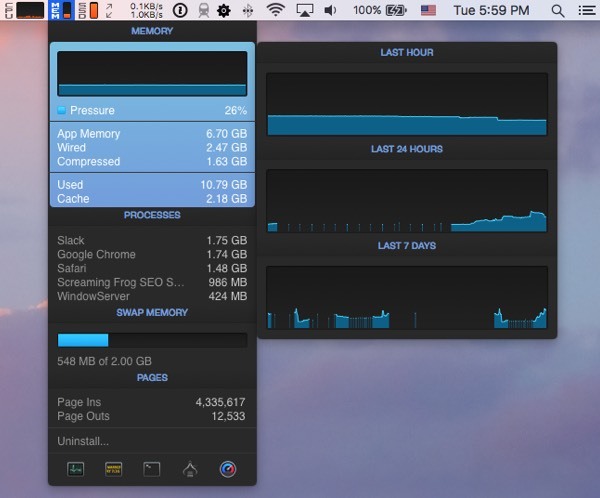 Unlike Activity Menu, iStat Menus providers users with even more useful data, and is available through Setapp, along with hundreds of other apps for Mac customers, all for one convenient price. Remember to pay attention to CPU temperature as a key potential indicator of an upcoming freeze. When it's too high, quit apps and processes that take too much of its power. That's about it on the matter of freezing Macs, we hope this article has been of help. Every app we mentioned is available on Setapp, an app collection by subscription. More than a hundred ultra-useful tools for all kinds of Mac maintenance, lifestyle, and work tasks. Sign up to try it.